Shaker elements are all the rage right now in the card making world. 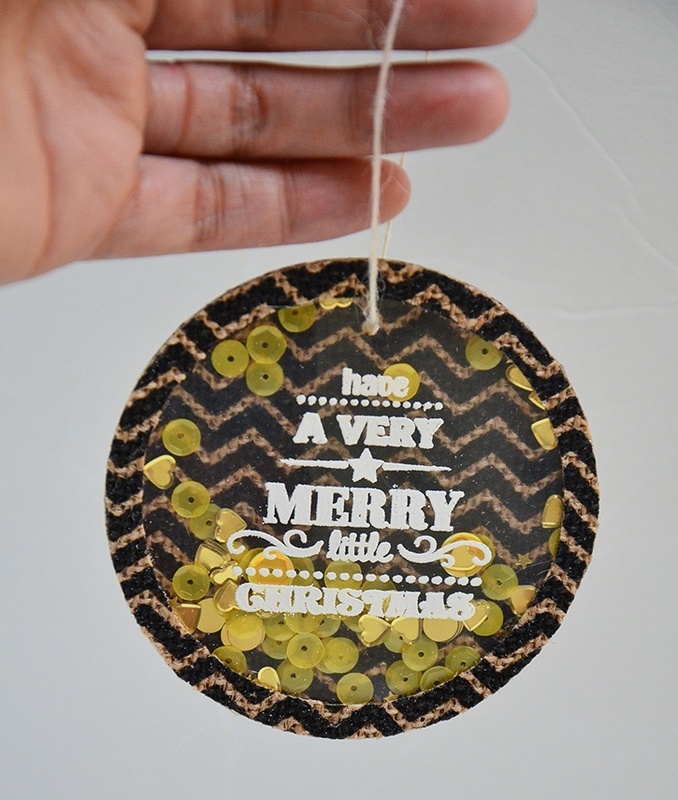 Why not incorporate this trend into your next DIY ornament? You can even use it as a fancy gift tag for a holiday gift. 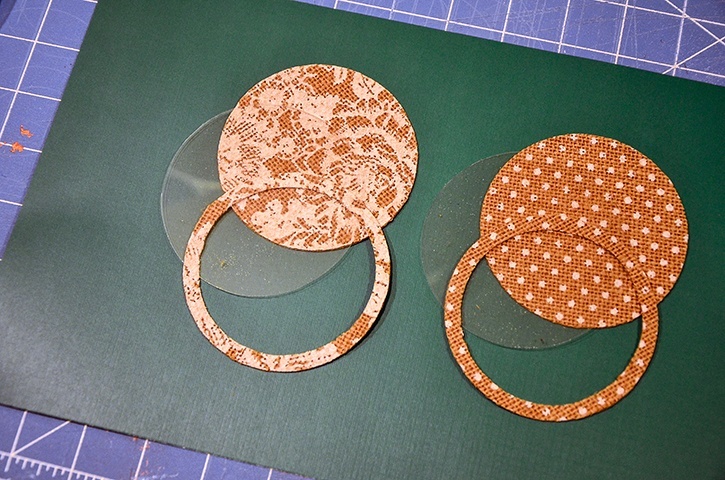 Cut out the circles from burlap. Cut three full circle ones measuring about 3 ½” in diameter. Tip: I found it easiest to turn them over on their backs and then cut them out. 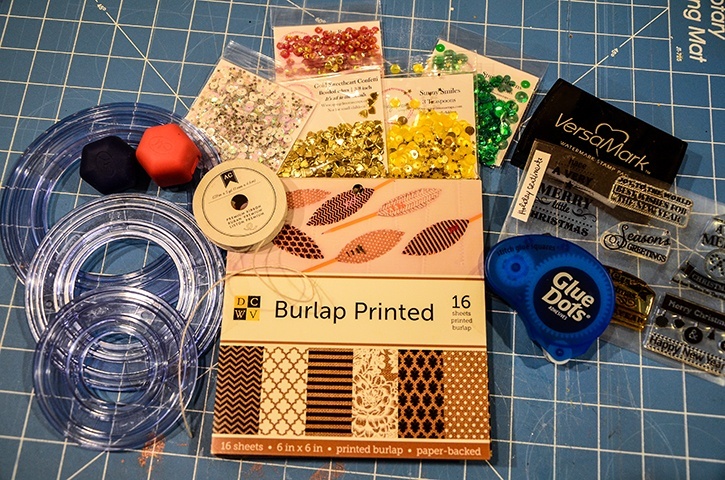 You will have to use scissors to release the shape from the paper but it’s easier to use the circle cutters on the back rather than the burlap texture side. Cut another 3 ½" circle from the same three burlap pieces. 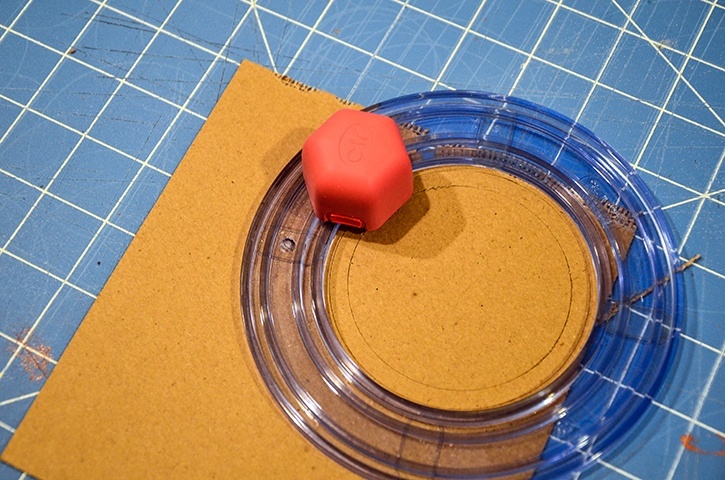 Cut an inside circle from this shape measuring about 3- 3 1/4" in diameter. This will be part of your shaker window. Set aside. Cut three pieces of acetate with the same measurement of your burlap base. Heat emboss your sentiment on the acetate using some white embossing powder. Adhere the acetate under the circle window using Glue Squares. 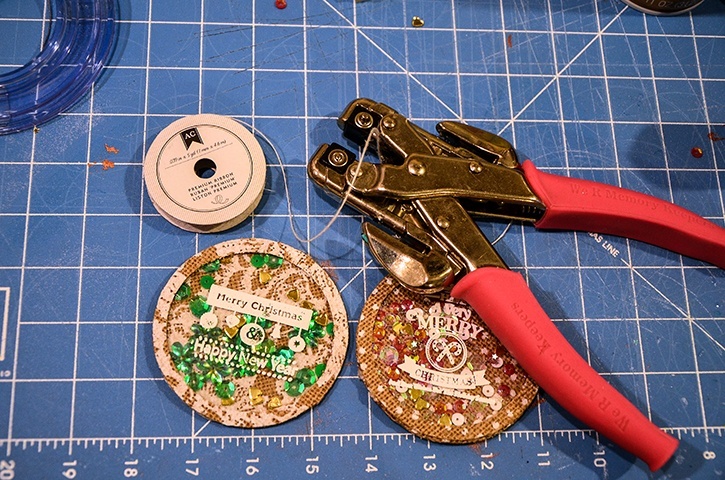 Fill up the center of the circle base with sequins. 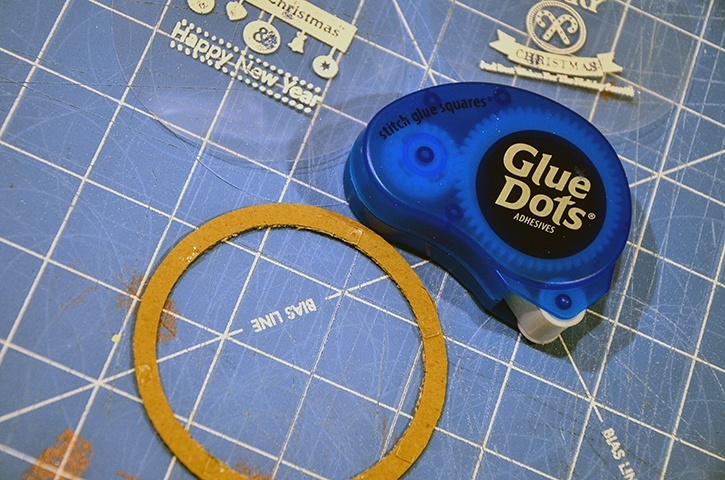 Add Glue Squares around the back edge of the acetate piece. Make sure to fill up the entire edge with adhesive. This will make sure that no sequins will fall out. Add to the top of the base. You might need to press or put a hard item over the ornaments to make sure that the edges are closed tight. Punch a hole on the top of the ornaments. Thread the twine through the hole, trim off excess and tie the ends into a knot.